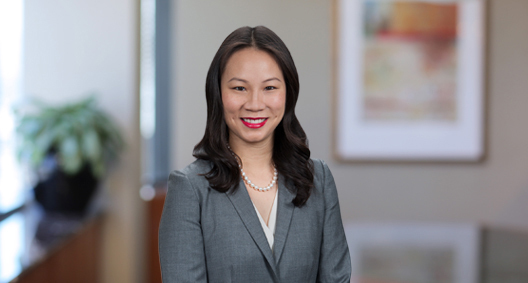 Teresa Chow focuses her practice on complex business and commercial litigation. Patient and adaptable, she personalizes her approach to each client and situation in order to maximize the potential for resolution and achieve the client's objectives. She is also co-leader of the firm’s Litigation Associate Training Program. Served as a member of a cross-office team that successfully defended a California hospital and a network of California hospitals in two of the largest data breach class actions ever filed under the California Confidentiality of Medical Information Act (CMIA). Played a key role in obtaining the dismissal of all CMIA claims on behalf of the clients. Member of the BakerHostetler legal team serving as court-appointed counsel to Irving H. Picard, Securities Investor Protection Act (SIPA) Trustee for the liquidation of Bernard L. Madoff Investment Securities LLC (BLMIS). Since December 11, 2008, the SIPA Trustee has recovered, or entered into agreements to recover, approximately $9.8 billion, representing more than 56 percent of the approximately $17.5 billion in principal estimated to have been lost in the Madoff Ponzi scheme by BLMIS customers who filed claims. Served as lead trial counsel and successfully defended a charter school against claims arising out of the alleged breach of an exclusive real estate brokerage agreement. The jury awarded only approximately 7.5 percent of the damages sought. Served as lead litigation counsel for an international manufacturer and distributor of freeze-dried food products in a high-value breach of contract action against a distressed natural snack foods company. Secured the client's priority over other similarly situated creditors and recovered 100 percent of the amount owed. Served as lead litigation counsel for a global workforce solutions provider facing multimillion-dollar business torts claims. Motion for terminating sanctions and motions in limine to exclude all of the plaintiff's key evidence provided the leverage needed to negotiate a settlement for only 2 percent of the amount demanded. Represented a multimillion-dollar judgment creditor in an enforcement action against the judgment debtors and foreign recipients of their fraudulent transfers. Pursued defendants and assets internationally and obtained the debtors' largest asset in partial satisfaction of the client's judgment. Served as a member of a two-person trial team for a case involving claims of defamation, assault and battery, and other personal torts against a major domestic air carrier, which resulted in a unanimous defense verdict.